SouthWest Florida Crime Stoppers (5/10/17) - The Pro-Tektor®, Inc.
FORT MYERS, Fla. Southwest Florida Crime Stoppers has a new tool to help solve crimes and apprehend wanted fugitives in Southwest Florida. Two kiosks were installed at two locations in downtown Fort Myers Tuesday afternoon. One is on the first floor of the Constitutional Office building on Thompson Street and the second is at the Dr. Martin Luther King Jr. Boulevard entrance to the Lee County Courthouse. 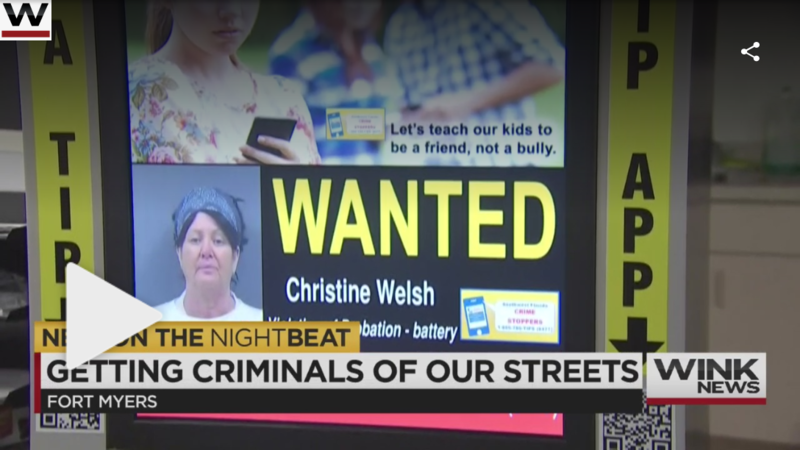 Each kiosk features stories of unsolved homicides, pictures of wanted fugitives and reminders about public safety issues. A third kiosk will also be installed within the next two weeks in the Lee County Clerk of Court’s Office, Southwest Florida Crime Stoppers said. The kiosks are a new way of sharing information with the community in order to generate new leads, which will put criminals in prison and reward money into the pockets of anonymous tipsters. There are QR codes on each kiosk which, when scanned by a smartphone, will automatically link to the P3Tips app. More kiosks will be placed in high visibility locations throughout the community later this year.